Watch his video and hear how Cal Poly Pomona helped prepare him to start his business, Sevenlogics. When Alberto Herrera, 2016 Cal Poly Pomona biology graduate, started his hobby of interviewing punk rock bands and celebrities, he had no idea his passion would turn into a major channel on the YouTube scene. His path has been quite untraditional, with him now starting a Ph.D. program in Cancer Research at City of Hope. Microsoft’s Nicolette Yadegar is inspiring the next generation of women in computer science. After Nicolette Yadegar received a computer science degree from Cal Poly Pomona in 2014, she knew her journey was just beginning. She was one of a small group of women who majored in computer science, and she wanted to see that number grow. 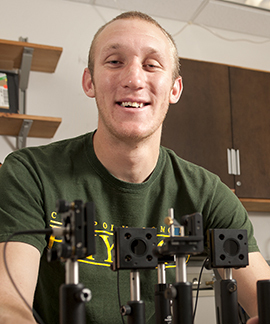 The Cal Poly Pomona alumnus is embarking on his first year as a graduate student studying materials science and engineering at the University of California, Irvine, and though it’s only the beginning of a very intense academic endeavor, he’s well prepared for it. The hands-on learning at this school really prepares you once you graduate. A lot of students [at other universities] get all the way through their bachelor’s program without doing lab work for real research. Here, they push it really hard. As a sophomore, I was starting work with a professor in a research lab. 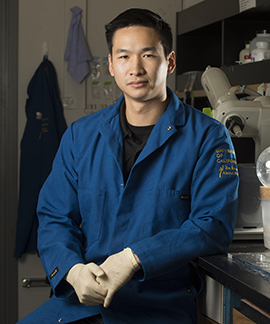 Alumnus Daniel J. Cua has found his calling and success in the world of scientific research. He is the group leader in Pathways of Inflammation at Merck Research Laboratories in Palo Alto and was a previous Research Fellow at Schering Plough Biopharma. 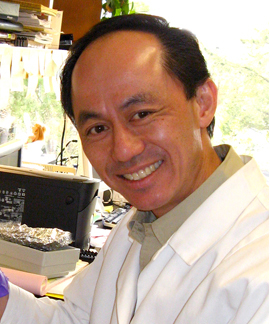 His work focuses on the discovery of novel biologic agents for the treatment of immune-mediated inflammatory diseases.